Content Marketing and Customer Involvement - SmackSmog! 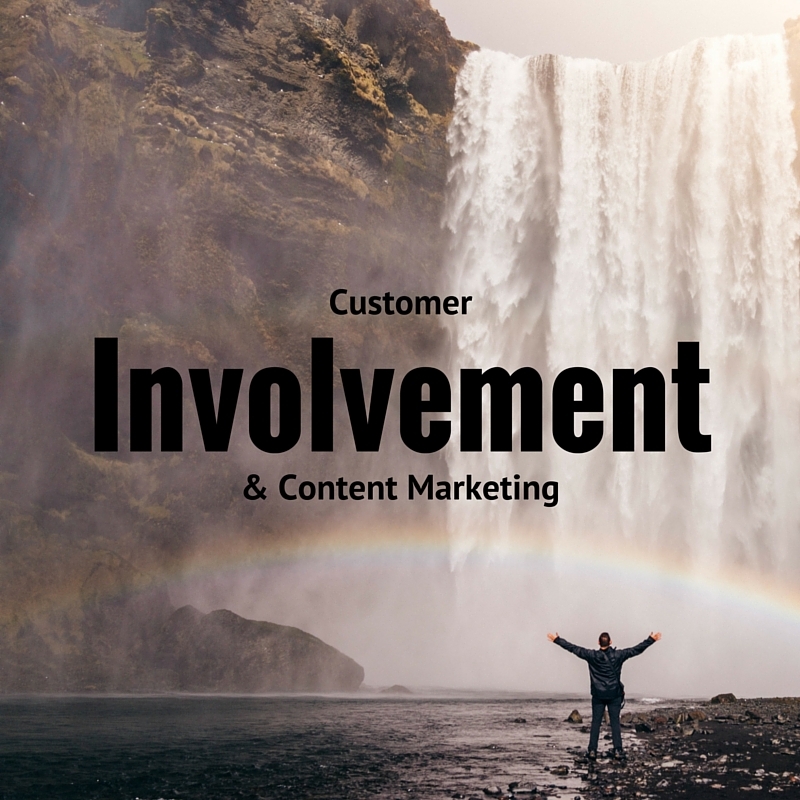 Content marketing is about involvement. Once you get consumers to interact with your product, whether it be through social media, reading your mailers, or browsing your website, you can turn them into a customer. But how do you get people to be involved in what you are marketing? For now brainwashing is illegal so you can toss out any Brave New World pillow speakers that are in the works. Moving consumers away from apathy to involvement means they need to care about whatever it is you are selling them. Is that such a hard thing to do? Ask any bearded hipster with a MacBook, and the fact that they have a MacBook is answer enough. To that bearded hipster everything old is better, thus he rides his turn-of-the-century big wheeled bicycle (a.k.a Penny-Farthing if you were wondering) and is trying to find a Victrola on Craigslist that actually works. MacBooks aren’t old, but to the bearded hipster that dresses like a librarian from the 1920s, MacBooks are cool (and hey if it was purchased last year it is old fashioned). Apple is cool and we all secretly want to sit at the cool kid’s table. They get the consumer to care by including them in a “super-cool” exclusionary club. This is even more obvious if you have and iPhone and have forgotten your charger, you will find yourself drowning in a sea of micro USB cables (be aware, if you click on this link to the mini-usb cables, a small % of the sale goes to one of my favorite non profit groups, The Dads Club) and watch in horror as your precious link to the world of information is severed by a low battery turning into no battery. Great content marketing gains customer involvement through the “buy in.” Apple’s marketing works because it gets its consumers to accept their branding. Apple doesn’t just sell technology, they sell a way of life and their customers totally buy into it. You may be thinking to yourself, “but I am only a start up company, I can’t run ads like them.” You would be right, no you don’t have the money to buy Super Bowl airtime, but with quality content marketing sometimes all you need is a free Twitter account. You need to get consumers to buy into whatever you are selling, and it isn’t as difficult as you think. Consumers want to consume, it is their nature. When I was younger and it was summer time my friends and I always begged to go to the same park to swim. We chose this park not because it had the best pool in the area, actually it wasn’t that great and it was smaller than most. But we chose that park because it had other things to offer. At certain times of the day someone from the city would come and take out all these interactive games we could play, and also there was the best snow cone truck that parked right next to the pool. Quite simply it was heaven. We bought in and chose the park for the diverse and wonderful content it offered. The most successful companies that market on twitter, don’t really market at all. If you have a twitter account you should follow Netflix. Yes, they do advertise but the main reason to follow them is reading all their interactions with their followers. They are constantly replying to people’s tweets. And the replies are not just to questions about what they have streaming but to random things. For example, someone will tweet that they stay in so much streaming that they are now dating Netflix. Then the Netflix account tweets them back something to effect that they will always bring the popcorn. Responding in a personal way to people gets them to care about your product and leads to further involvement and loyalty. You also need to stay relevant and always play to your strengths, potential customers will reward that sincerity with brand loyalty. “But wait, I was not a humanities major, and no one on my staff is.” First, don’t rub it in that you probably have a job in your major field and no late student loan payments. Secondly, and more importantly this is where we here at SmackSmog can help. We can help create and guide your online content needs so you can present a quality website to the world and gain more customer buy ins and loyalty. Contact us and we will get your consumers consuming.